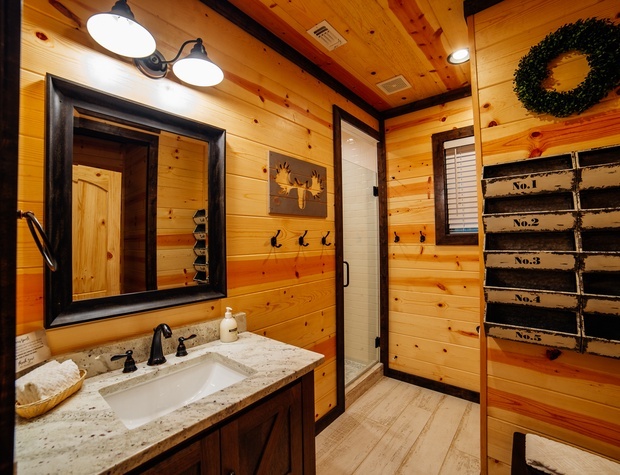 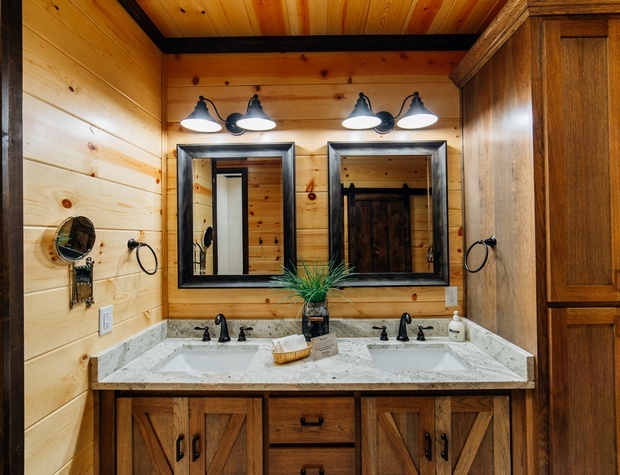 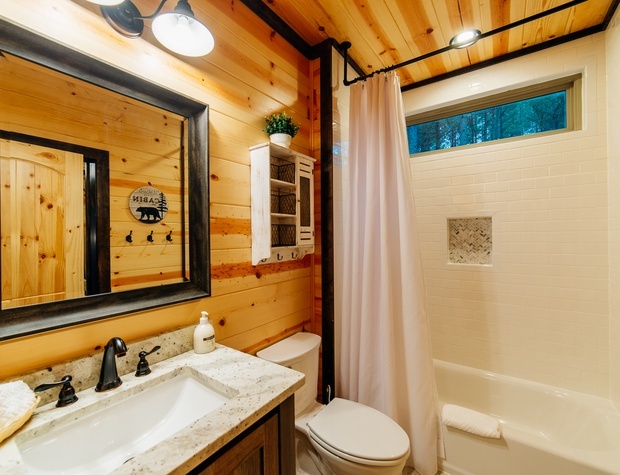 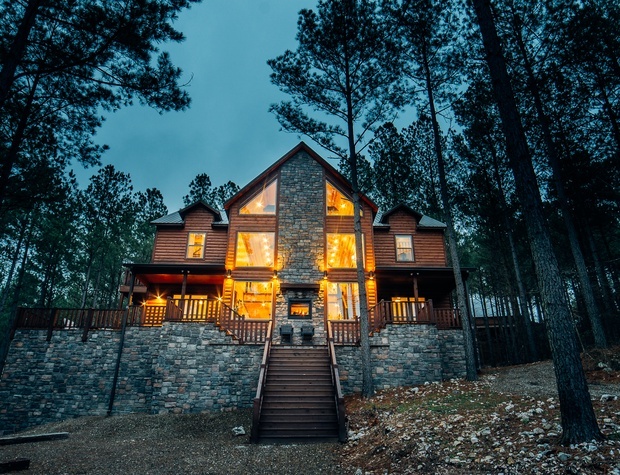 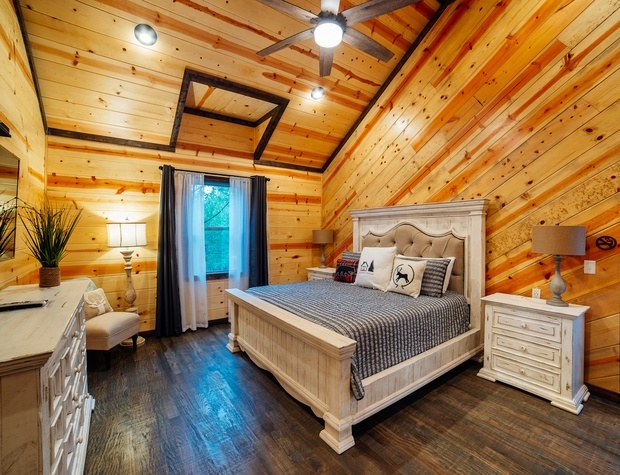 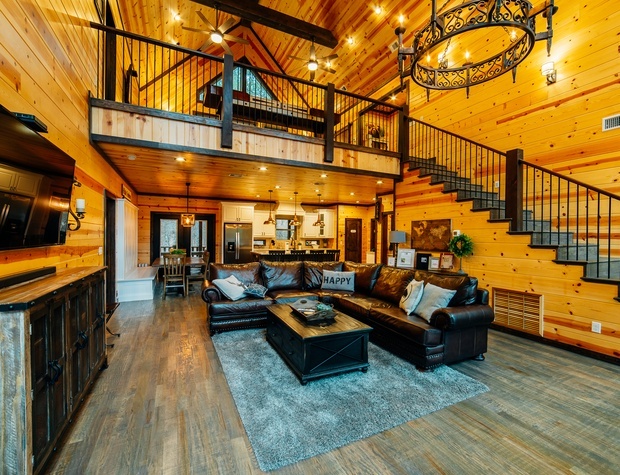 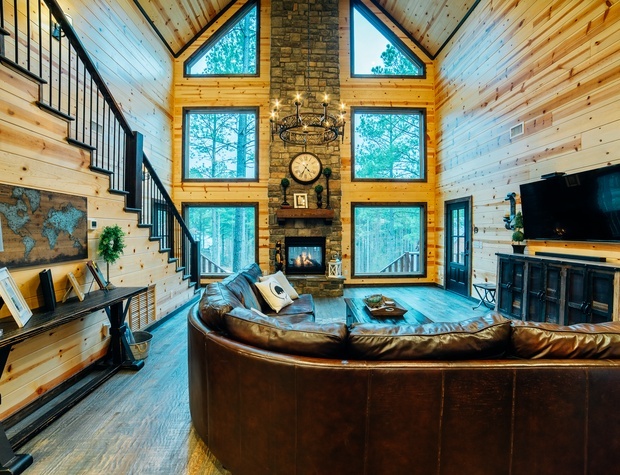 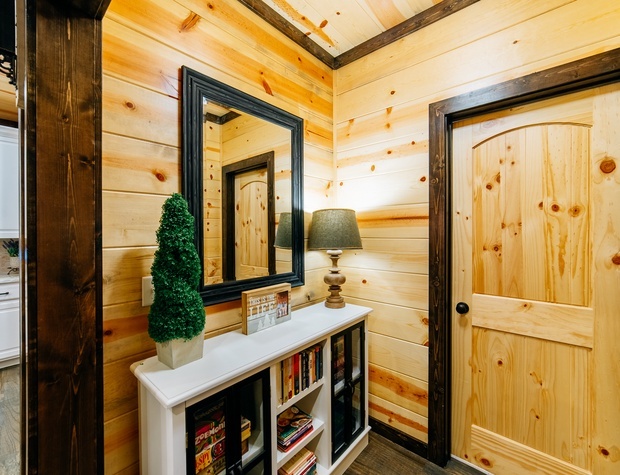 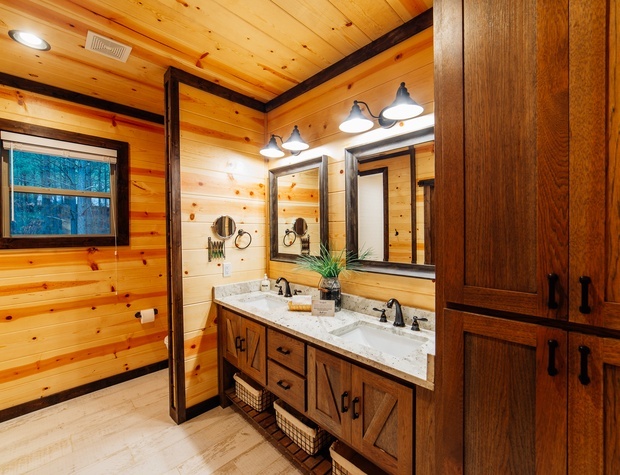 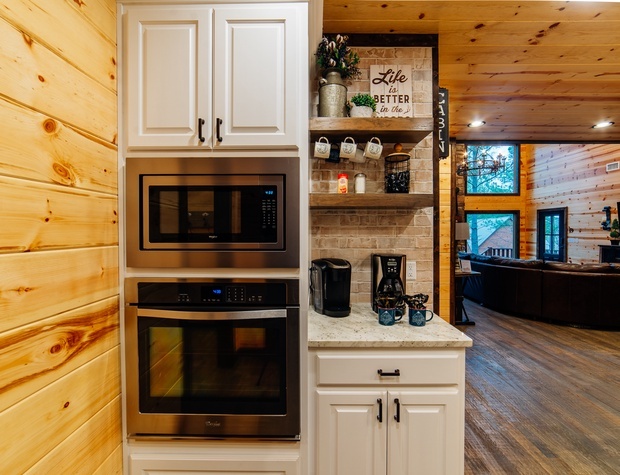 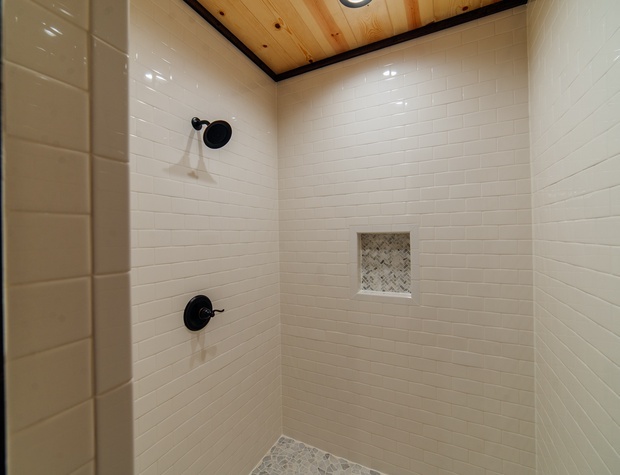 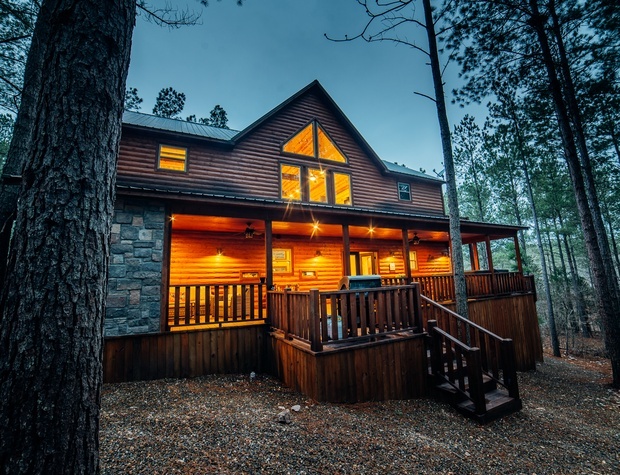 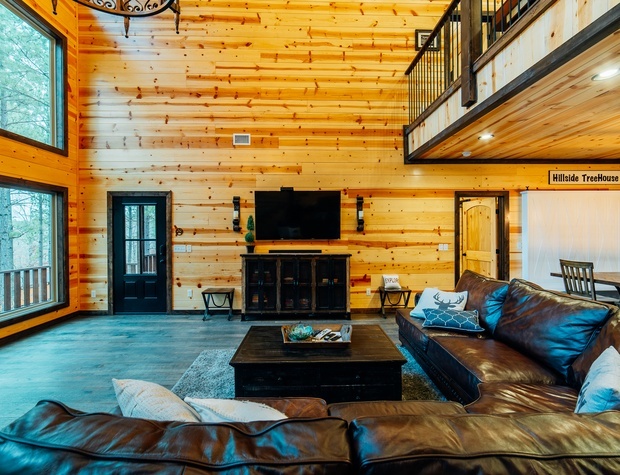 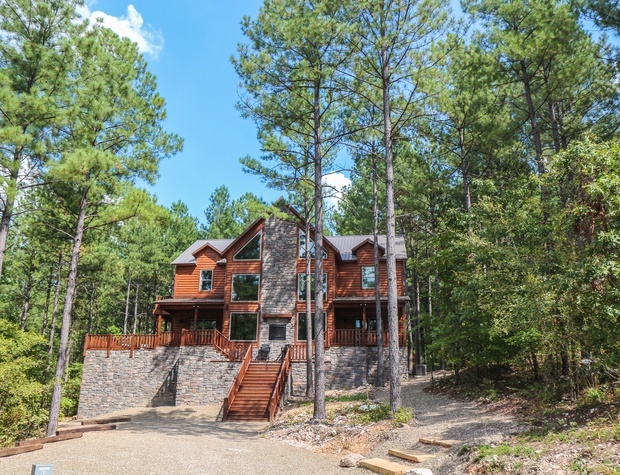 Hillside TreeHouse is a brand new luxury cabin in Hochatown, OK near Broken Bow. 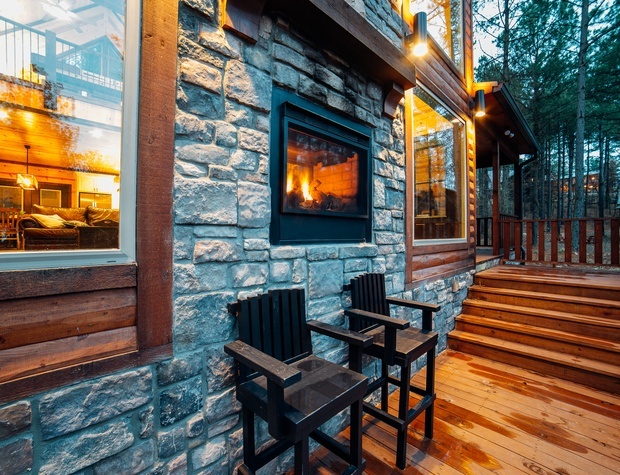 Hillside TreeHouse’s great room features an impressive stone two-way fireplace. 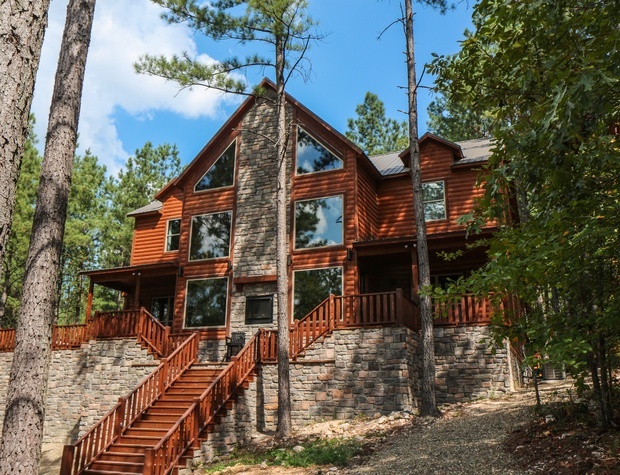 Large windows overlooking the beautiful views and a charming gourmet kitchen with all the amenities of home. 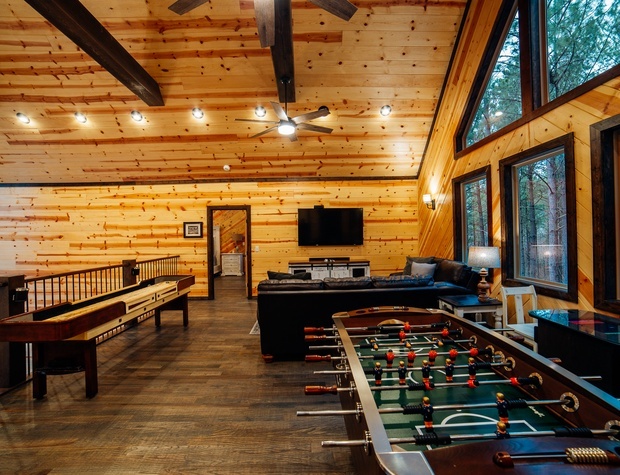 Upstairs is a large loft area with its own living room space, Shuffle Board Table, Retro Arcade Cocktail table with over 60 games, and foosball table for hours of fun for the whole family. 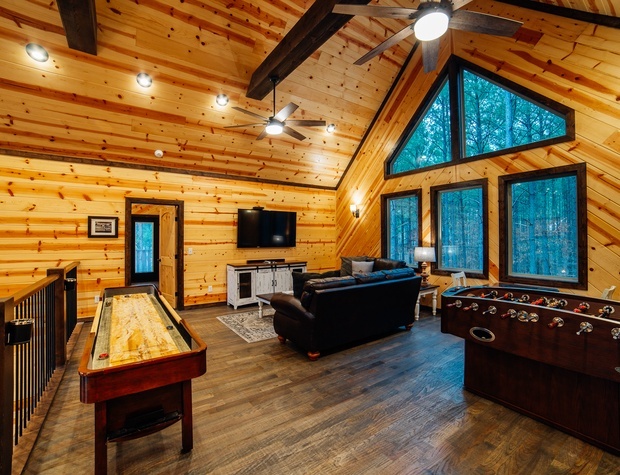 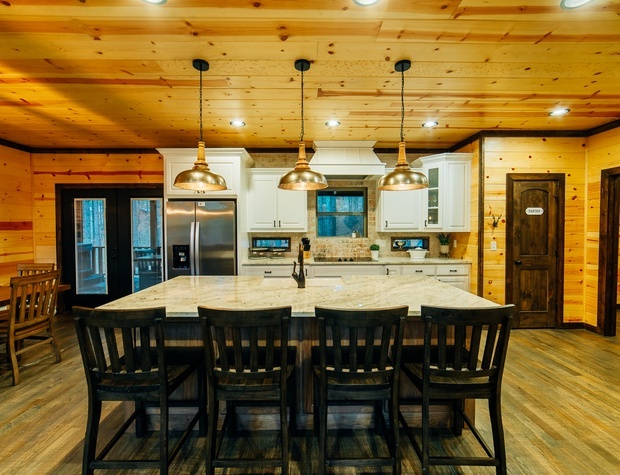 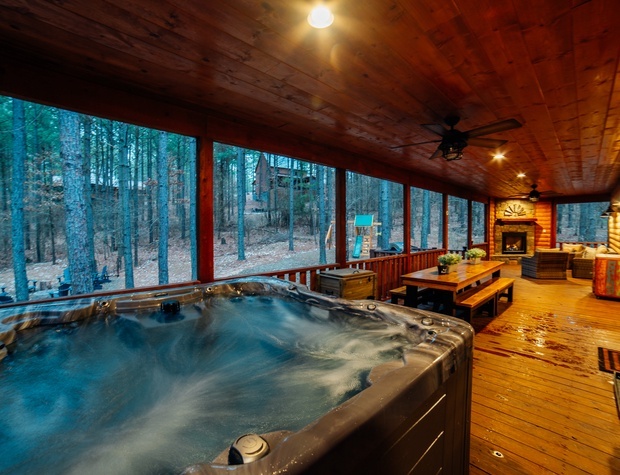 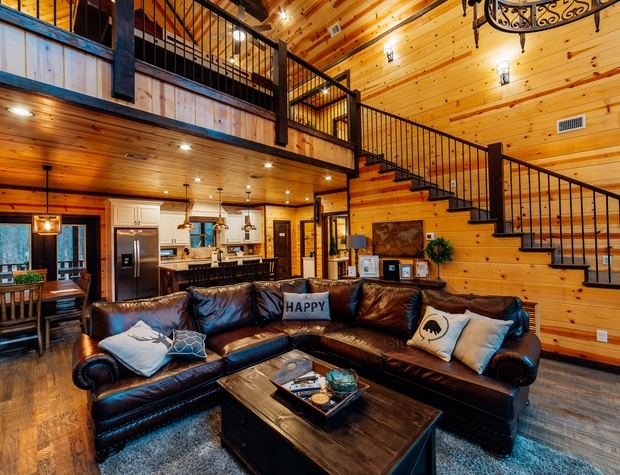 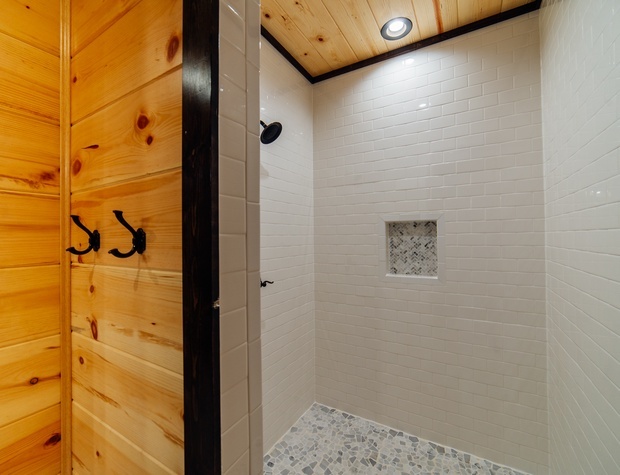 Hillside TreeHouse is a spacious 5 bedroom, 4 bathroom luxury cabin located in the beautiful Timber Creek Trails near Beaver’s Bend State Park. 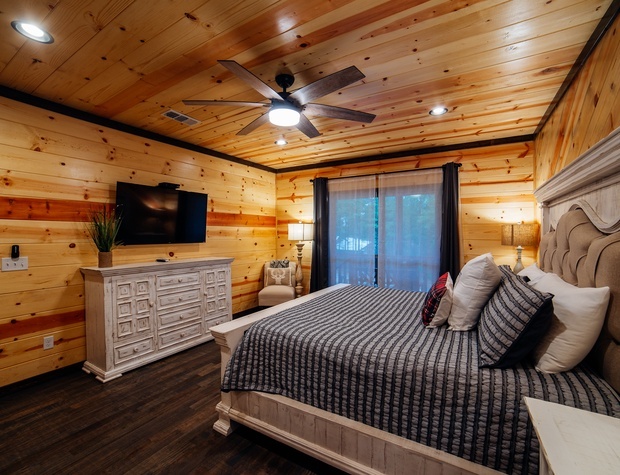 With all the modern amenities and charming style, your vacation getaway is sure to be unforgettable. 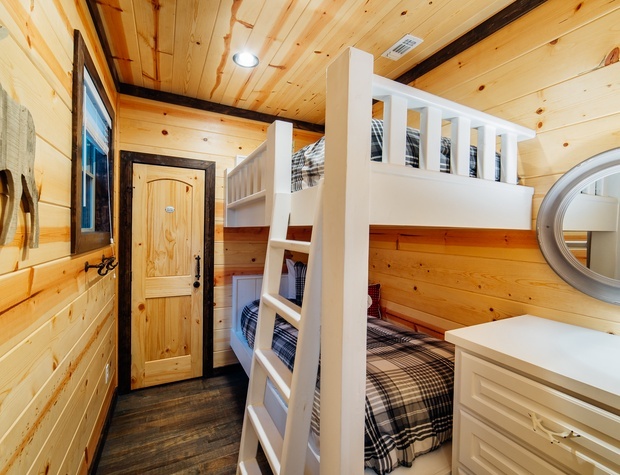 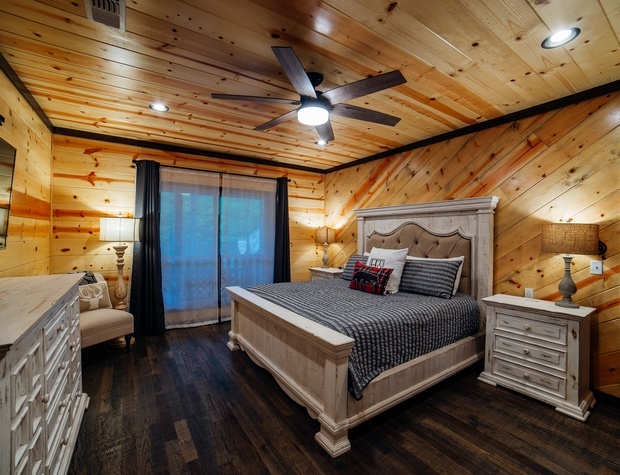 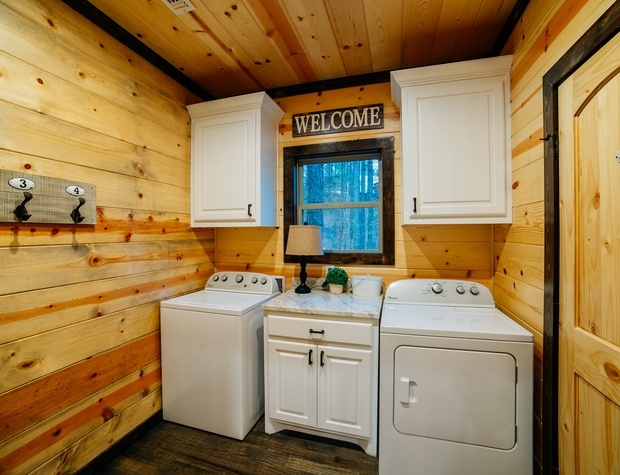 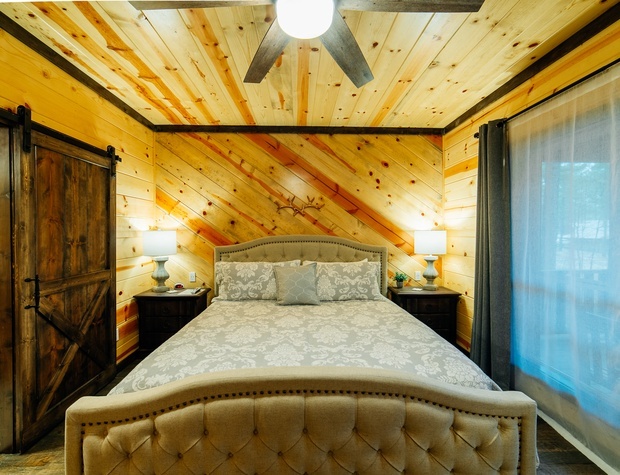 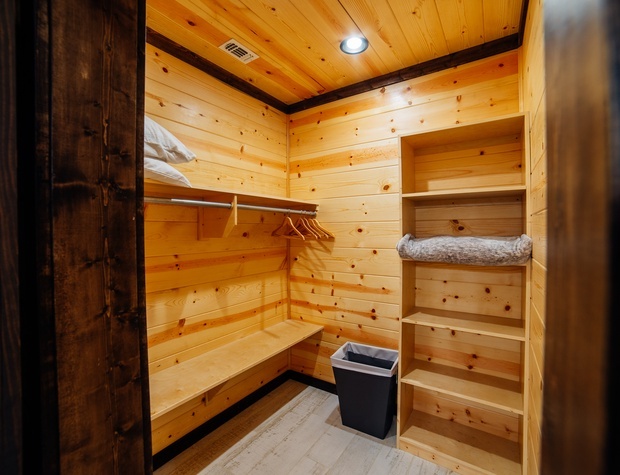 This stunning cabin features 2 Master Suites each with a King bed, private bathroom and access to the outdoor decks, a Guest Bedroom with a King bed and connecting bathroom, an amazing Bunk Bedroom equipped with 2 Queen beds and 2 twin beds with connecting bathroom, and a Bunkbed Hideaway equipped with 2 twin beds. 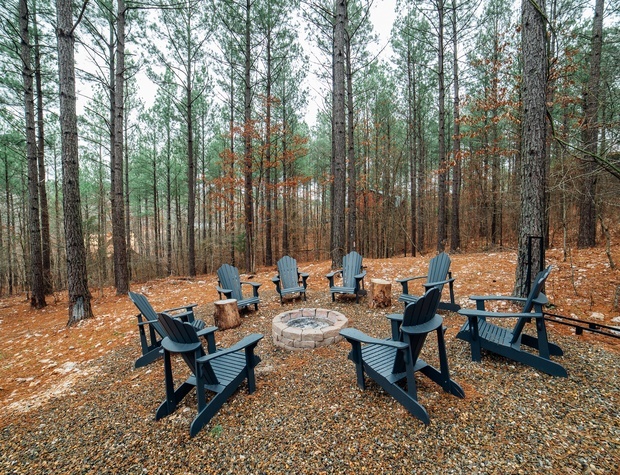 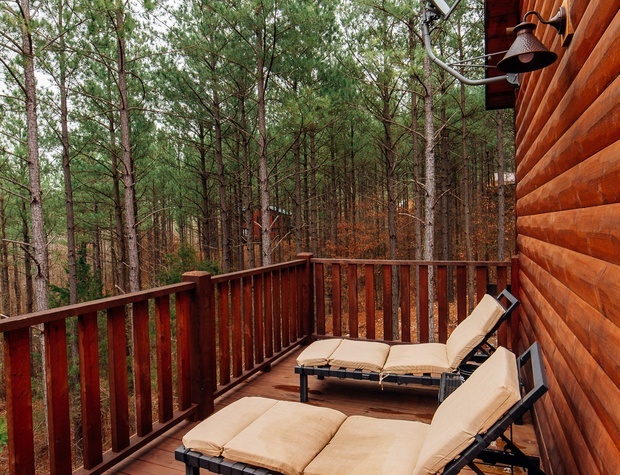 Hillside TreeHouse sits among the towering pine trees with views of the Ouachita Mountains and is on over 1.5 acres of outdoor space with breathtaking forest views from all the expansive decks, great for outdoor entertainment! 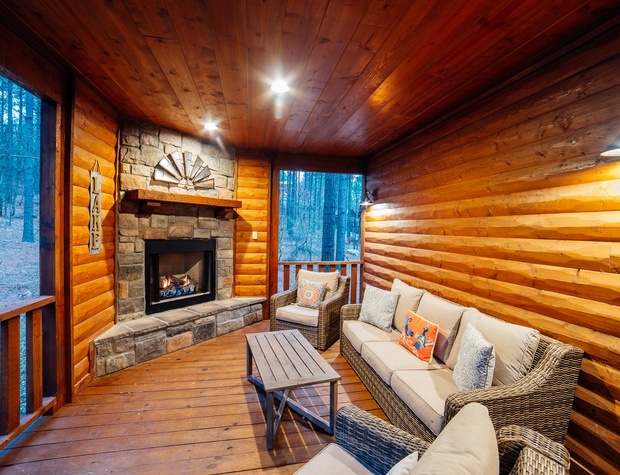 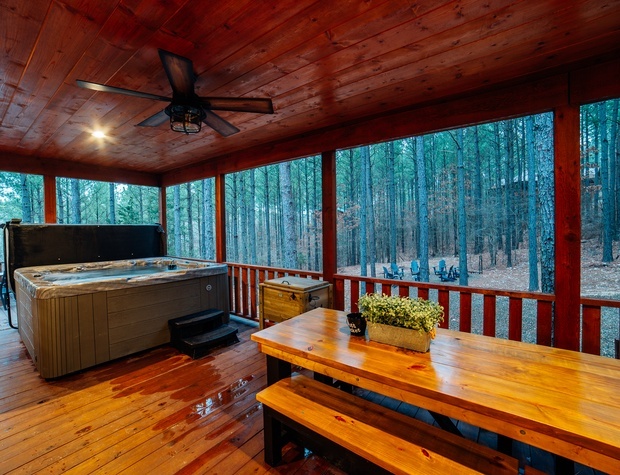 Relax by the stone fireplace, sit under the stars at the outdoor fire pit, or unwind in the cozy hot tub. 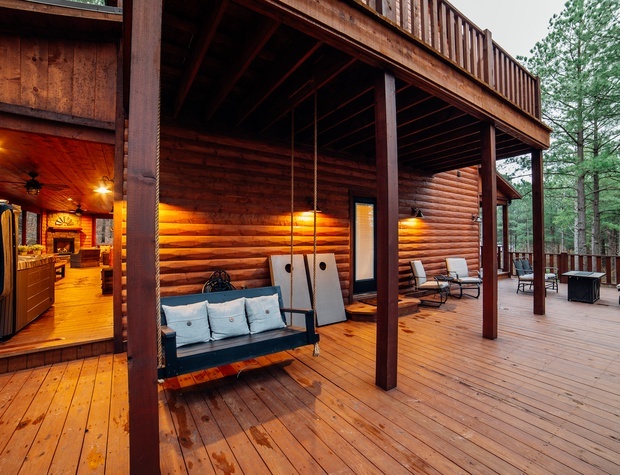 Share your stories around the extra large outdoor dining table, whisk your worries away while swinging on the deck swing or layout on the lounge chairs on the upper deck. 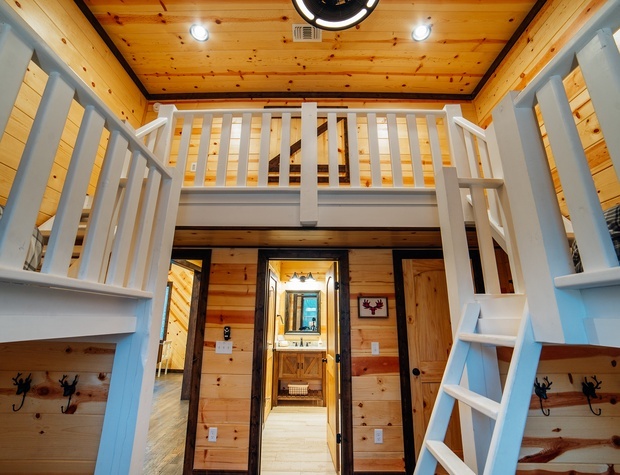 No matter where you land, you will be in heaven at the Hillside TreeHouse. 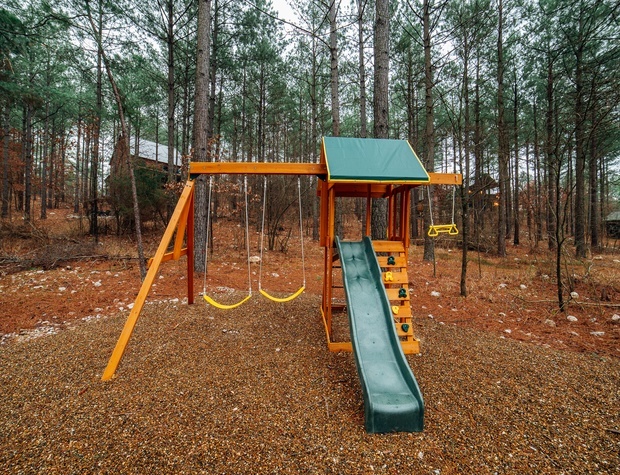 Hillside TreeHouse has ample parking and is conveniently located within driving distance to: Mountain Fork Brewery, Shuck Me, Okie Girls Coffee & Ice Cream, Hochatown Distillery, Girls Gone Wine, Grateful Head Pizza, Abendigo’s, Beavers Bend Brewery, The Blue Rooster and many more local businesses. 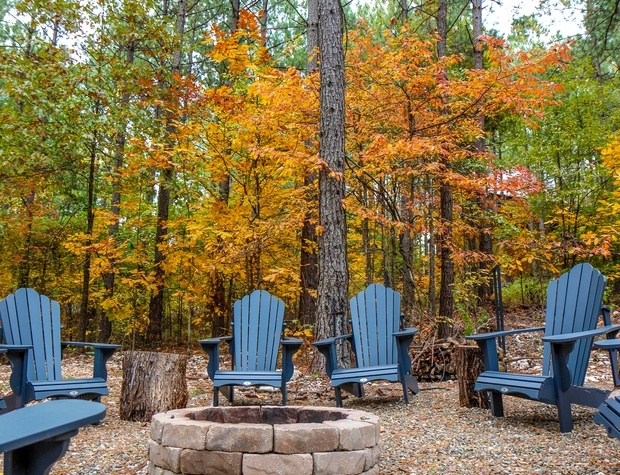 Beavers Bend State Park, Hochatown State Park and Broken Bow Lake are just minutes away. 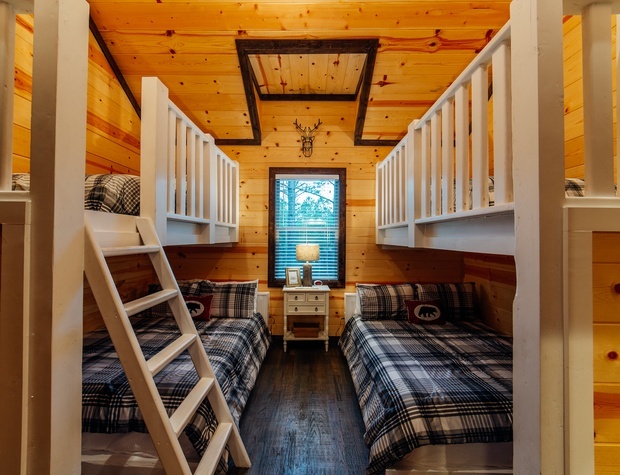 Exceeding maximum occupancy results in additional charges or cancellation (regardless of age). 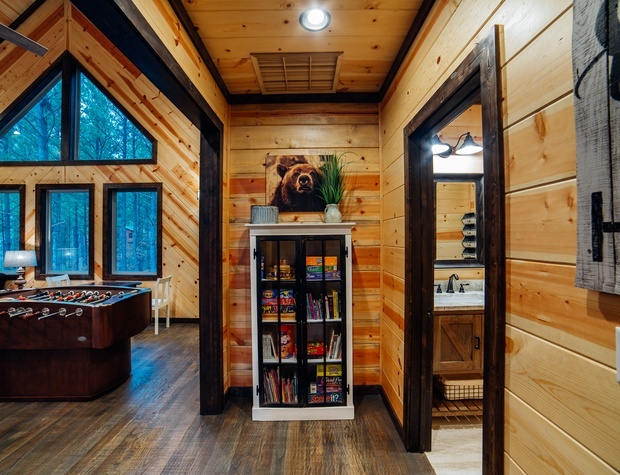 For those who want to stay connected, HILLSIDE TREEHOUSE offers FREE WIFI to guests. 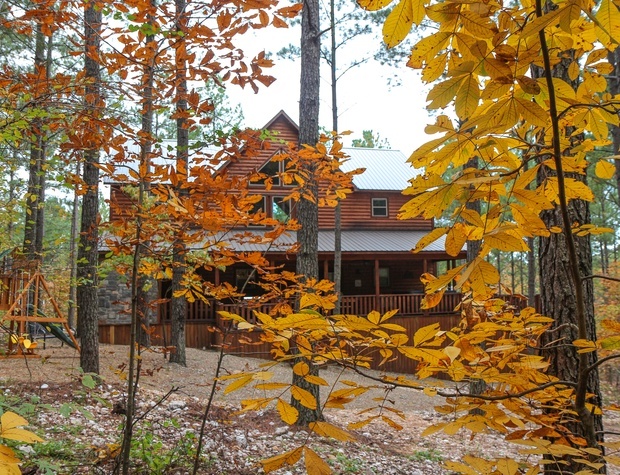 BBCL is not responsible for speed or reliability of internet service from Pine-net. 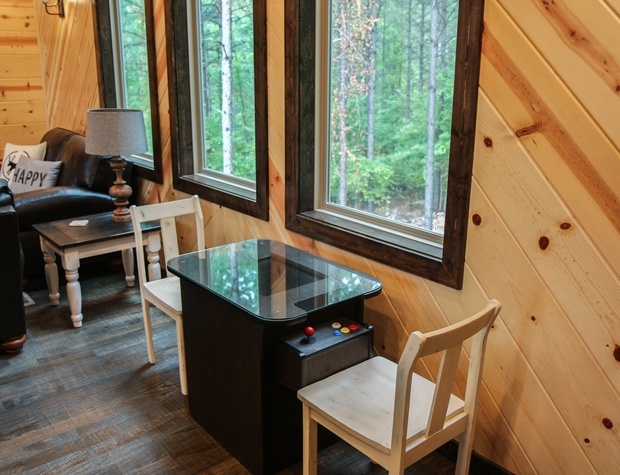 Thanks Again for Choosing Broken Bow Cabin Lodging and the Hillside Treehouse cabin!